Rafi Alam unveils Australia’s greatest unsolved mystery. Somerton Beach, Adelaide: November 30, 1948. A man was seen lying on the sand, with his back against a wall, facing the sea. Witnesses assumed he was drunk and passed out, a common sight on the beach, and one claimed he saw the man raising his right-arm at 7pm, and dropping it limp. Mosquitoes besieged the body; the man did not react. When police found the body, the Somerton Man was dead. The coroner later estimated the man to have died at 2am. There were no signs of struggle, no marks on the body, nothing to suggest he was dead except his cold still body. It was poison, the coroner noted, but whether it was suicide or murder was unknown, and the type of poison used was not recognised by toxicology experts. On him was a used bus ticket to St. Leonards, Glenelg, a kilometre north of the body; an unused train ticket to Henley Beach; and an Army Club cigarette packet with Kensitas cigarettes. He had no identification on him. His dental records matched none in Australia, much like his fingerprints, and a photograph of him gained no positive results. No one in Somerton Beach recognised him. Every possible identification later turned out to be false. The mystery developed when a suitcase was found at Adelaide Railway Station, checked in moments before the bus trip to Glenelg. In the suitcase were various garments, a screwdriver, a knife, scissors, and stencilling brush. All the garments had identification cut out of them, except those that would be damaged; on the tie, it said “T. Keane”. 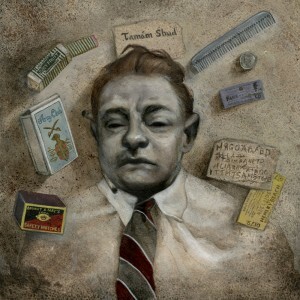 No T. Keane was reported missing in the English-speaking world. One interesting aspect was that a coat in the suitcase could only have been made in the United States, much like the Army Club cigarette packet found on his body. 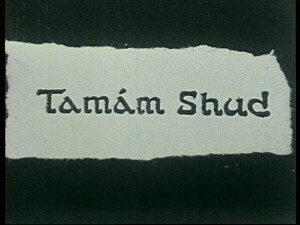 When the body was being examined, a piece of paper was found in a sewn pocket, torn from the page of a book: “Tamam Shud”, later misreported as “Taman Shud”. “Tamam Shud” is the last line of Omar Khayyam’s The Rubaiyat; it comes after a poem on living a life of no regrets. In Persian it means “the end”. Tests on the piece of paper found that the edition of the book was rare. A photograph of the paper was released, and a man came forward saying he found the book in the backseat of his unlocked car, with the torn page, two weeks before the body was found. Significantly, there were four lines of code on the back of the book, with one line crossed out. The code is still unsolved. Next to the code was an unlisted phone number. The phone number led police to a woman, now known to be Teresa Johnson née Powell, but referred to as ‘Jestyn’, a former nurse who worked at the Royal North Shore Hospital during the war. She told police that gave a copy of The Rubaiyat to a soldier she had an affair with in 1945 named Alfred Boxall. In 1948, Boxall contacted her, but she replied that she was married. A man also asked her neighbour about her, but it is unknown if this was Boxall. When she saw the body, she was taken aback, but claimed she did not recognise him. This is despite Jestyn living in Glenelg at the time the body was found, only 400m from the place of death. Despite consistently claiming she was married, and telling police she did not want her husband embarrassed as a way of keeping herself anonymous, it turned out she was only wed in 1950. It appeared as though the mystery was solved; however, Boxall was later tracked down, with his copy of The Rubaiyat in possession, “Tamam Shud” intact. Interesting events followed the investigation. Flowers appeared at his grave, but a woman leaving the cemetery claimed she knew nothing of him. A receptionist said an unknown man left a nearby hotel just before the death, leaving behind a medical case including a hypodermic needle. In 1945, a Joseph Marshall, brother of future Singaporean Chief Minister David Marshall, was found dead in Mosman. A copy of The Rubaiyat was found open on his chest. Another copy of the same edition was never found. Jestyn worked next to the place the body was found, and gave Boxall a copy of the book two months after the death. A woman who testified at the inquest was found dead 13 days afterwards with slit – face down in her bath. 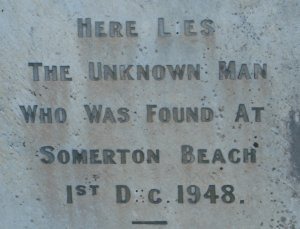 In 1949, a two year old was found dead in a sack near Somerton Beach, next to his unconscious father; the mother later claimed a masked man harassed them, possibly in connection to the father’s investigation of the Somerton Man. In 2009, the case was reinvestigated by researchers in Adelaide University, focusing on his unique ear shape that belongs to only 1-2% of Caucasians. A proposal to exhume the body was rejected by the SA Attorney General. In 2011, the identification card of H. C. Reynolds, a former member of the U.S. Navy, was found. A mole was in the same place in the photo and of the deceased. The case is still open on this. Rumours suggest that the man was a spy, either for the Americans or the Soviets. The place of death was close to Woomera, an intelligence gathering area. The suggestions of espionage, intertwined with love and lost loves, and the unbroken code, still arouse interest from the public. 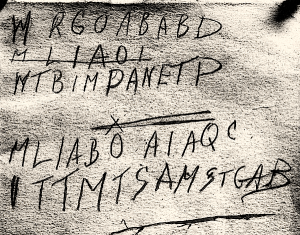 The case of the Somerton Man remains Australia’s greatest mystery, and yet it appears we are all condemned to remain in suspense.